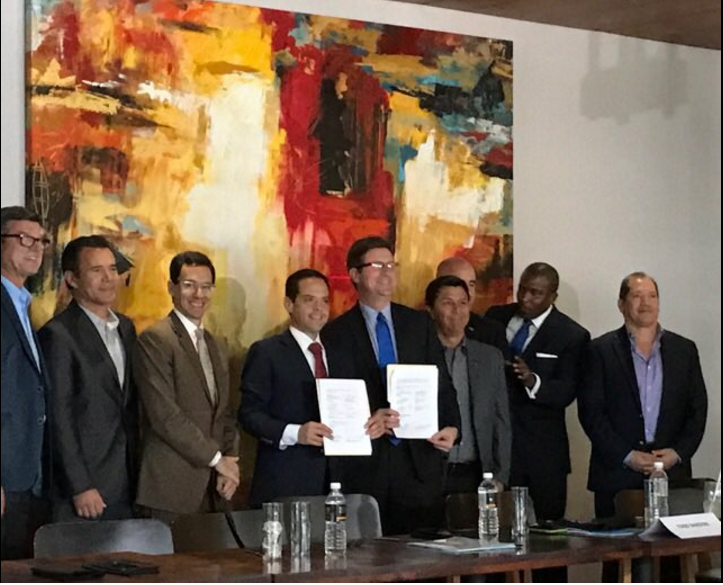 During a recent trip to Hermosillo, Mexico, Arizona Technology Council President + CEO Steven G. Zylstra was among seven leaders to sign a collaborative exchange memorandum to benefit the Greater Phoenix and Hermosillo Metropolitan regions. The Arizona Technology Council, the Arizona Chamber of Commerce, the Black Chamber of Arizona, and the Greater Phoenix Chamber of Commerce were among the organizations representing the Greater Phoenix region, while Coparmex Sonora Norte, Canacintra Hermosillo, and index Hermosillo made up the associations from Mexico. The objective of the agreement is to formalize a bilateral relationship to promote growth and expand business opportunities for members in both regions. The signing organizations have committed to work together to promote trade, attract investment, and share information and best practices.